When RingSide Grill at Glendoveer Golf & Tennis closed in late August, ending a 38-year-run in East Multnomah County, it didn't take long to get a new tenant to take over the role of providing food and drink for golfers and the general public accustomed to having a relaxing oasis at 14021 N.E. 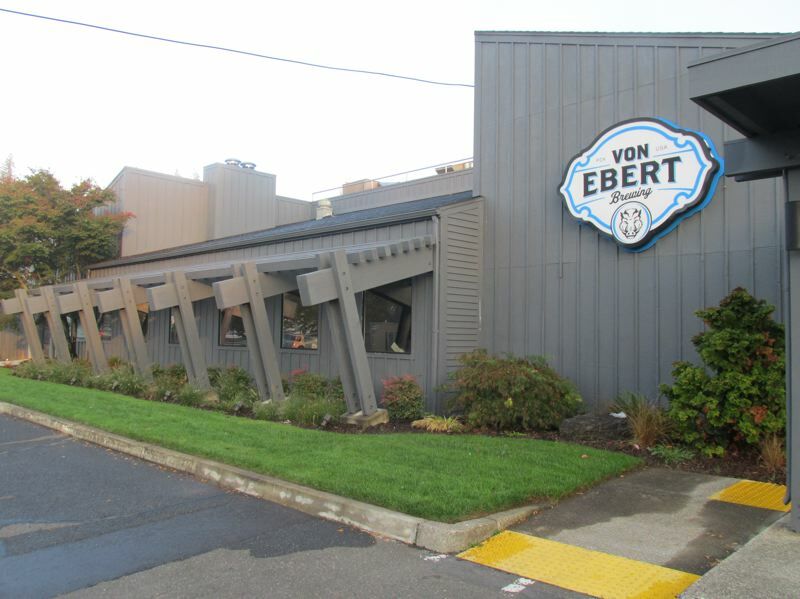 Glisan St.
Vancouver, Wash., businessman Tom Cook, after considering an eastern counterpart to Fat Head's brewing in Portland's Pearl District, instead created a new operation, Von Ebert Brewing. He switched the Pearl location to that name and opened another Von Ebert facility in the former RingSide location, which is leased from Metro regional government. There are no fewer than 19 beers on tap, including Club Haus Lager, Puddle Jumper Pale, Axe to Grind Ale and IPAs Volatile Substance and Atmospheric Phenomenon. The food menu includes appetizers ($9.50-$14) such as house-made onion rings, fried pickles, nachos and steak bites; soups and several salads ($6.50-$14), signature smoked wings ($9.50-$21), pizza, sandwiches, mac and cheese, and a variety of burgers from $10-$15. Cook recently shared a little about himself and the scenic new restaurant and brew pub with The Outlook. THE OUTLOOK: Where do you live and what is your business background? TOM COOK: (I live in) Vancouver with my wife. I studied finance at Purdue University, worked in Manufacturing Finance at Chrysler Group, LLC (now FCA), then moved back home to Vancouver and worked for a large restaurant company and led their finance team. Four years ago, I opened a Fat Head's (brewing) franchise in the Pearl District. Five months ago, I transitioned the Pearl location over to Von Ebert Brewing. OUTLOOK: How did Von Ebert get going? 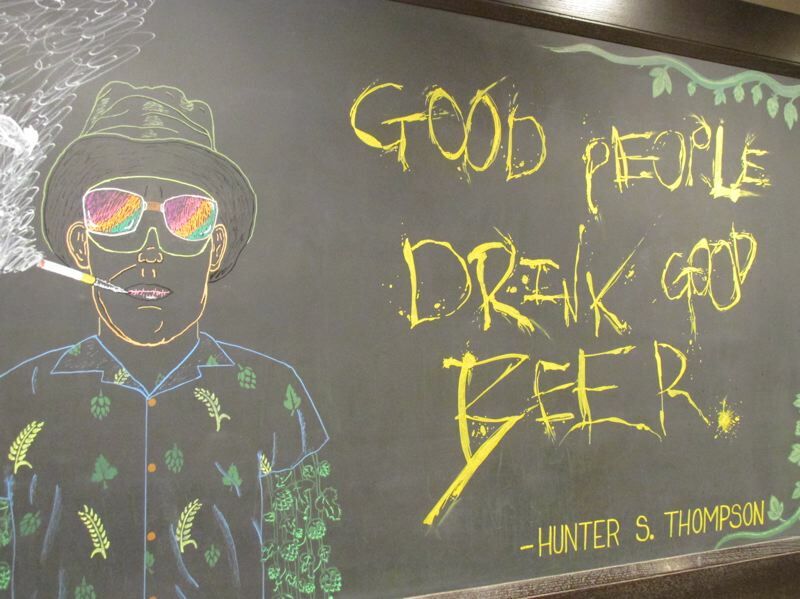 COOK: Fat Head's wanted to go a different direction, so we mutually decided to build our own brand. Ebert was my great grandmother's last name and I decided to pay homage to her with our new brand. She brought our family over from Germany. OUTLOOK: What led to opening the brewery at Glendoveer Golf Course? COOK: We were looking for a second location and through mutual colleagues, we found out that the location was available. OUTLOOK: What will this business bring to the area that it didn't have before? COOK: I think it brings more casual dining and "date night" options for folks. 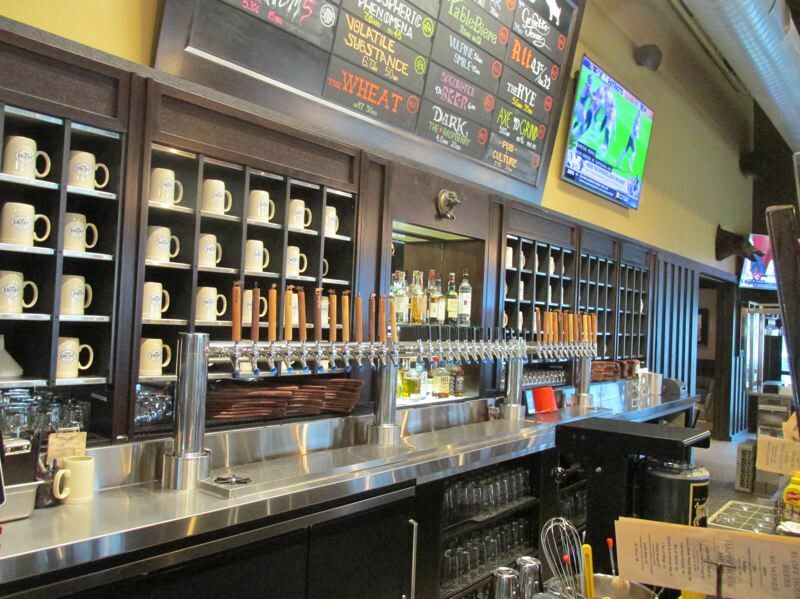 I also think it brings Portland's reputation for great beer out to the East County where there are far fewer brewpubs. OUTLOOK: What makes Von Ebert special? COOK: Having brewing facilities on site is pretty special, having brewing facilities on a golf course is even more special. The view and our patios are some of the best in Portland. OUTLOOK: What kind of customer base are you trying to attract? COOK: We cater to just about everyone: families, sports fans, golfers, tennis players, date-night folks, happy hour lovers, etc. OUTLOOK: What are your hours? COOK: Open at 11 every day. We are getting ready to go into winter hours where we will close a little earlier, but our website has most up-to-date times.